If you read international real estate news, you’ll find plenty of articles on Chinese investors spending billions of dollars on overseas properties. This appears to be in line with the global fortification campaign that the Asian powerhouse has been resolutely carrying out. As the Chinese invest in Australian, European, and American real estate, the astute financial mind is bound to see the wisdom in turning the tables. For a long time, foreigners investing in commercial properties in China had to face impossible challenges brought about by an industry rigidly controlled by the government. The situation today is vastly different. There is actually an over-supply of offices as well as commercial and industrial premises that are open for investment. The Beijing Olympics and the upcoming Shanghai World Expo can be thanked in part for this. Because of the country’s presently more open international relations, commercial property investment in China has become a more feasible and desirable undertaking. Purchasing property in China definitely has many obvious advantages. Considering the nation’s commitment to trade and commerce, property value is only expected to appreciate. That’s not to say, however, that the challenges have been completely dispelled. The investment process for foreigners is still quite complicated. There are still restrictions imposed by the government, but familiarity with these will allow foreign investors to conduct property purchase and transfers in the correct and approved manner. It’s important to consult with a China real estate expert such as Lauchlan Leishman to understand what is allowed by the government and what isn’t. For instance, many who are under the misconception that property investment is not allowed to foreigners may feel compelled to course the purchase through a friend or a business partner. This has the unfortunate potential for dispute, a scenario that is best avoided. All land is owned by the Chinese government. When developers buy land, they’re actually only given the right to usage for a certain number of years. 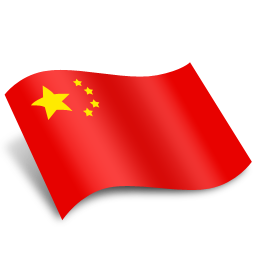 Foreign investors must have a company branch or representative office in China in order to purchase commercial property, which should be in the same city as the branch or RO. Foreign companies are only allowed to invest in commercial properties. Property investment in China may be a complicated affair, but it could definitely turn out to be profitable. Simply make sure that you consult with a qualified property professional for guidance and assistance. If you’re interested in property investment or you’re already engaged in it, it pays to be in tune with the trends and developments in the industry so you can make better, more informed decisions. But how do you get hold of predictions for property investment in 2015, and how would you know if these are good and trustworthy enough to be used as a reference for any of your decisions? When you’re doing your research online, make sure that you go only to trusted sites and authors with an already established authority. Still, a lot of the reports and updates can be a challenge to understand even for people who already are in the property investment scene. 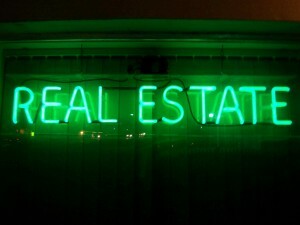 Industry jargon and complicated concepts are inevitable when talk is about properties and investments; that’s why it still makes sense to get help from a trusted consultant who can provide you a clear understanding of the valuable information you need to know about, and help you place this information in the context of your situation as an investor. Uneven development. Some capitals in the country will enjoy an improvement in their housing sectors, but some cities will miss out on the progress. Forbes.com ranked Barangaroo in Sydney as no. 3 in the top 10 markets to watch in 2015. 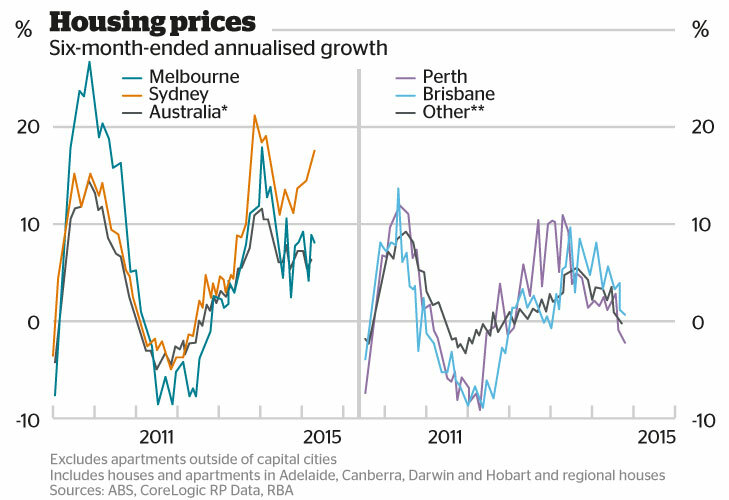 Other reports say Melbourne may see a house price growth. There are mixed predictions for Perth, Adelaide, Darwin and Canberra. As always, it’s better to get the real score from a seasoned property specialist as the prediction for your particular investment will still rely on a number of factors such as the price pattern in neighbourhood, the type, size and age of the property, among others. The huge impact of the global economy. With the increasingly globalised economy, what happens in the international scene will now have a bigger and more direct influence on the local situation. While investors have no reason to fear another global financial crisis, forecasters are concerned about the sluggish growth in the global real estate industry which may (and can) affect growth in the Australian property market as well. Other current concerns, namely insecurity in the job market, rising unemployment rates and gradual inflation, can bring interest rates even lower. More foreign investment. 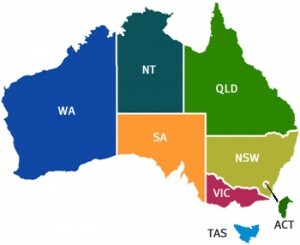 There is a rising demand for residential properties in Australian capitals among foreign investors. This was already seen last year and this year, and is actually determined as one of the reasons not only for the growth rate in jobs and development, but also for the property price inflation. Investors from China, Singapore and Canada are considered the biggest foreign groups that are showing a real interest in the Australian property investment today. More about Property Investment you can find by visiting property investment events or seminars in Australia. Don’t you wish you had bigger pockets — or at least, a bigger bank account? It is not a bad thing to want financial success, and to try and work at it every waking moment. Unfortunately, that approach to accumulating wealth can be a bit tiring. And before you know it, you could be burned out even before you ever see your first million dollars. When it comes to gunning for a seven-figure income, perhaps no other investment creates bigger, better opportunities than property investment. Much like other forms of financial ventures, you will want sufficient resources to help you get the most out of your investments — without tiring yourself out. So here are some key property investment tools that could help you make well-informed decisions that lead to successful investments. Know which properties are quicker to sell and which locations get the most sales at the best prices — all by getting property reports. Property reports give you factual details about suburb sales and sale histories, about house prices on specific locations, about suburb profiles, and a list of other data-driven reports. Online tools that estimate the financial viability of a property. When you are considering a property as an investment, you would want to know first if it is going to actually make money for you. Is the two-storey, two-bedroom suburb home going to fetch you a suitable profit? Will a studio apartment in the CBD give you enough cash flow as a rental property? To determine the answers, as accurately as possible, you will want to rely on a property analyser. You can use online tools to calculate residential rental income. You can estimate your tax benefits. You can calculate capital growth after tax cash flow. You can analyse commercial and residential properties. Basically, you will be taking the guesswork out of your investments by using a reliable property analyser. Finally, find out what it takes to turn your one-time property investment into a goldmine by seeking expert help. You can download guides to investment strategies or you could look up online sources that offer sound recommendations as well as broad information about investing in property. Lauchlan Leishman is one name synonymous with property investment. The group managing director at Berkeley Capital Group has been in the industry for over 10 years (and counting). So yes, he knows a thing or two about the property market. Look up Leishman’s blog and discover more property investment tools today.